I've made this incredibly yummy comfort food twice since I found the recipe at Taste of Home a little while ago. It is perfect for a chilly morning (or evening... or anytime in between :)). 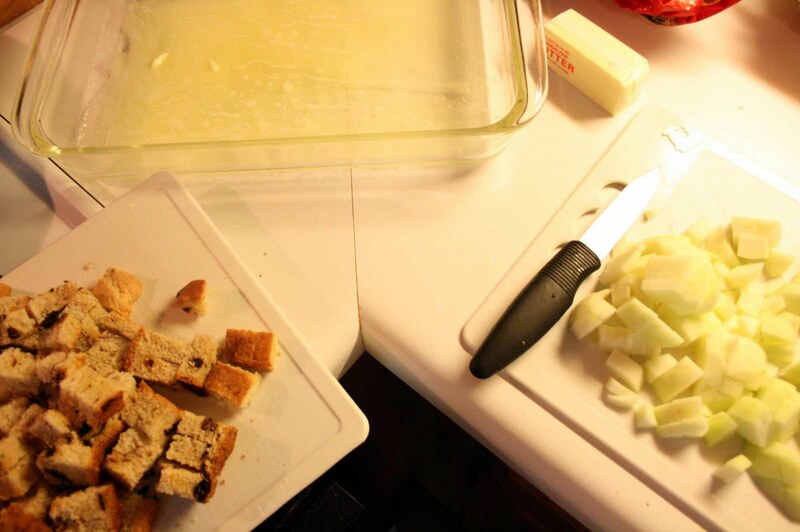 Pour butter into a 13-in. x 9-in. baking dish. 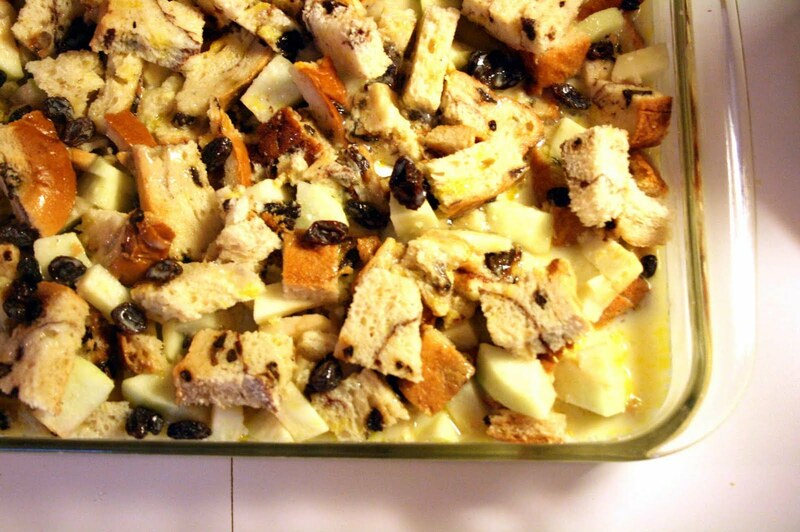 Combine bread cubes and apples; sprinkle over butter. In a large bowl, whisk the eggs, milk, sugar and vanilla. Pour over bread. Bake, uncovered, at 325° for 40-45 minutes or until a knife inserted near the center comes out clean. In a small saucepan, combine the sugar, cornstarch, salt and water until smooth. Bring to a boil over low heat, stirring constantly. Cook and stir for 1-2 minutes or until thickened. Remove from the heat; stir in butter and vanilla. 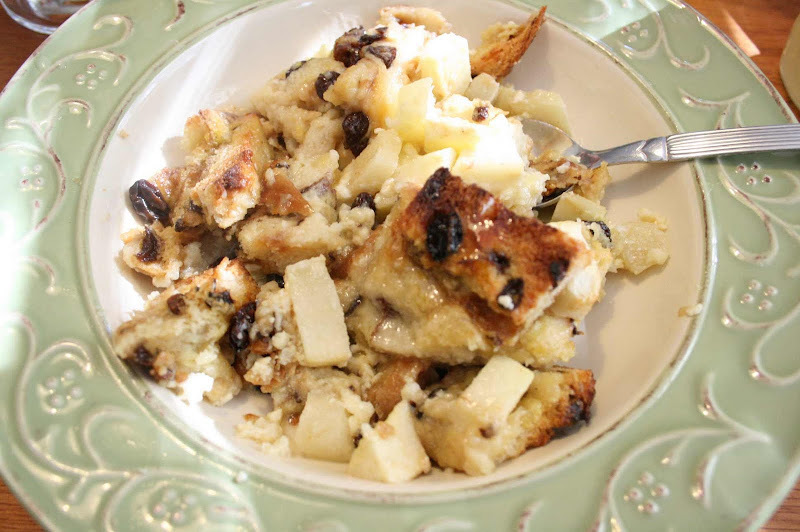 Serve with warm bread pudding. Yield: 12 servings (1-1/4 cups sauce). Oh my gosh this looks yummy. Shall I bring the tea?